In an effort to gain votes, the Coalition has targeted Labor's support for electric vehicles in their election campaign, writes Tarric Brooker. AS THE YET UNDECLARED [it has now been announced as May 18] election campaign continues to unfold, it feels like we have all been here before, that this same broken record policy platform based on “sound economic management” and “jobs and growth” has been trotted out by the Coalition multiple times previously. Frankly, that’s because it has. 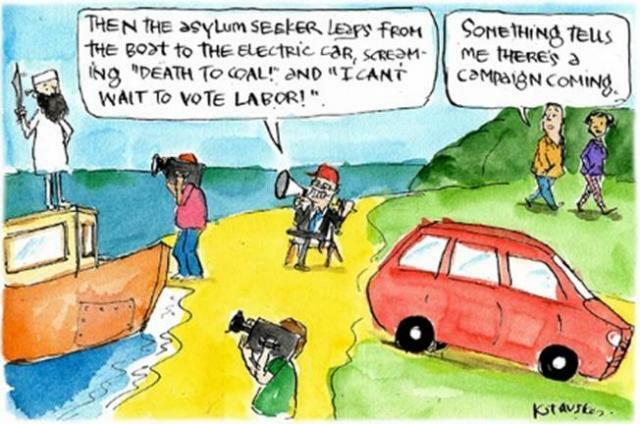 With or without minor additions like Tony Abbott’s “stop the boats” campaign, the Coalition has gone to every election since 2007 with essentially the same policy platform in the hope that the electorate will once again “not risk a Labor Government”. Despite the substantial ongoing changes in the values and ideals of the Australian electorate on any number of political issues from climate change to healthcare, the Coalition seems unable to adapt to this changing environment, instead opting to continue with its broken record rhetoric. 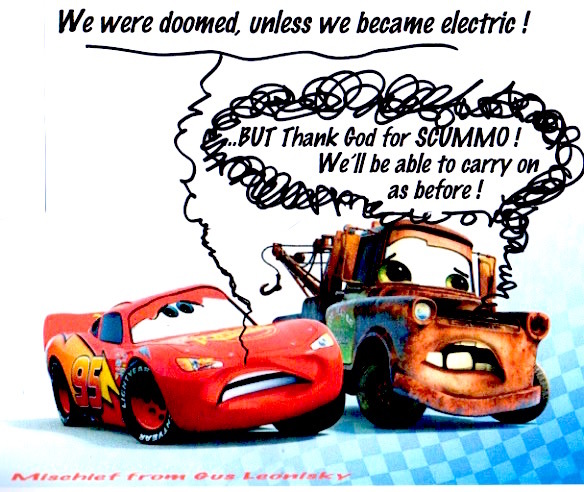 That is until a few days ago, when the Morrison Government decided that Labor’s support for electric cars (which the Coalition ironically shares) was going to be one of the defining issues the Coalition was going to run on in this election campaign, perhaps in the hope that “stop the EVs” (electric vehicles) was going to resonate with voters in the same way as “stop the boats”. At first, the Coalition’s push back against electric vehicles seemed like just the latest in a long line of policy thought bubbles trotted out by Scott Morrison to test the political waters. Yet, in just 48 hours, that thought bubble had coalesced into a party-wide campaign talking point that permeated not only the entirety of the Coalition’s ranks but also some Right-wing media sources. Even the members of the Liberal party who define themselves as “moderates”, or “small L Liberals”, who claim they have a genuine desire to address climate change, have been quick to jump on the anti-electric car bandwagon. Perhaps the most prominent example of this is Dave Sharma, the Liberals candidate for the seat of Wentworth, who has previously spoken out in favour of addressing climate change, arguably in an attempt to tout his credentials as the spiritual successor to Malcolm Turnbull. In a recent statement, Sharma derided Labor’s electric vehicle policies as a Soviet-style engineering program that will become “pink batts all over again”. Sharma went on to say “I don't want to see it become like the Soviet Union where we all have to buy a Trabant”, referring to the poorly-built Soviet-era East German car. Sharma’s support of the Morrison Government’s anti-electric car agenda is a profound departure from the political image he was attempting to craft during the campaign for the Wentworth by-election, during which he was touted as the future of the moderate wing of the Liberal Party and potentially a future Prime Minister. Note: Labor's "Pink Batts" episode was far more successful than any other privately driven business in this fair country. More than one million homes got insulated and it's only due to shonky private operators in for a quick buck that four deaths occurred in the installation of roof and ceiling insulation. But the media was highly unfair, slanted and forcefully driven by the CONservatives in regard to the accidents — and this left a wrong impression of failure. It WAS A SUCCESS. Many people saw their heating and cooling electricity bills slashed by 30 per cent due to the "Pink Batt" government initiative. In regard to private enterprises, as at 21 March, there were 30 Australian workers killed at work in 2019. In 2018, the preliminary data show there were 157 Australian workers killed at work, compared with 190 workers in 2017. Further to that tweet on Tony Abbott, SBS has let us listen to the doorstop (it’s off the main campaign trail and was a small group of journalists grabbing him at his campaign launch at the Manly wharf). The so-called settled science is not quite as settled as people say. And that’s my position. Nevertheless we have only got one planet; we should do what we reasonably can to rest lightly upon it. I have always said climate change happens; mankind makes a contribution. We should do what we reasonably can to reduce emissions. What we shouldn’t do though, is turn our economy upside down in what turns out to be a futile green gesture. ... What I’ve always said is we shouldn’t have an emissions obsession. I thought a year or so back the best way to break the emissions obsession was to pull out of Paris. Just a reminder that absolutely nothing has changed for this government in regards to the Paris target or its emissions reduction targets, under Scott Morrison.